Spring has finally arrived in Ramsey County! 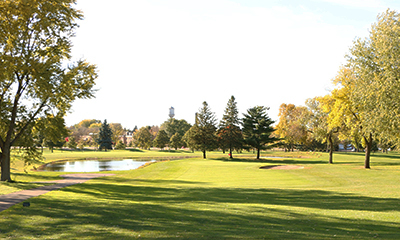 Ramsey County golf courses have started to open. Please call the clubhouse for hours of operation for each course. The Ponds at Battle Creek driving range is open. Course will open Thursday, April 18. Tee times: Book online or call 651-501-6321. Goodrich Golf Course will open Friday, April 19. Tee times: Book online or call 651-748-2525. Manitou Ridge will open Friday, April 19. Tee times: Book online or call 651-777-2987. Keller Golf Course will open Friday, April 19. Tee times: Book online or call 651-766-4170. Save money on rounds all year with a 2019 Patron Card! Learn more about patron cards and season tickets. Posted on Friday, April 5, 2019 - 1:30 p.m.